Rustic cedar stained wooden arch measures 8' wide, 4' deep and 9 1/2' tall. Perfect natural element for any event or wedding. Can be embellished in many different ways. Includes installation by our staff if delivered within a 5 mile radius of our stores. 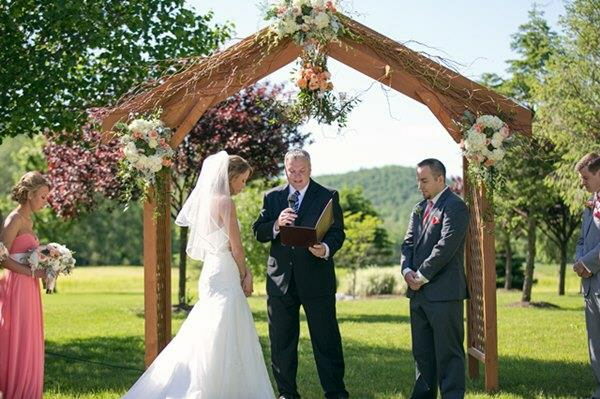 * Please call us with any questions you may have about our large wooden arch cedar stain rentals/sales in State College, serving Central Pennsylvania.